In the past two years, I have used the streets, sidewalks, paths and roads in and around Elizabethtown as my training grounds for three half marathons. I have run often enough to establish short routes of 4 miles that get me home in about 30 minutes and long runs of 12 miles that take me from one end of Elizabethtown to another (literally from Darrenkamps to the Masonic Village Farmers Market). Elizabethtown's walking and biking paths -- The borough has been working on walking and biking paths in town for a number of years. This winter, construction started on connecting a path from the community center on Poplar Street with a new path that will end at the Elizabethtown Train Station. The borough has also received grants to build a path on the other side of Market Street that will use existing alleys and go through Community Park and connect to the Elizabethtown Area School District property. Soon, you'll be able to run all the way through town on a dedicated pedestrian path and encounter little to no traffic. Masonic Villages -- I have run countless miles at Masonic Villages and am grateful for it. From my house, it's about a mile to the apartment buildings on Sycamore Drive. Once I get there, I can head in a number of directions on walking paths or on roads that don't have that much traffic. As any runner will tell you, that is a blessing. Hills -- As a cross country runner in high school, my coach told us to "attack the hills." Ever since then, I've never shied away from the challenge of a steep incline. Here in Elizabethtown, there are many, many challenges: Campus Road from College Avenue to Groff Avenue, Buckingham Boulevard, my own 5 Miles of Hills route and more. If you train in Elizabethtown, you will fear no hills in a race. Run for Peace, held every September and sponsored by the Elizabethtown Brethren Church. Elizabethtown Color Classic -- will be held Sunday, April 6, on and around the campus of Elizabethtown College. This is a first-time color run the college's Class of 2016 is sponsoring to support the Arc of Lancaster County. As a side note, the borough's staff held up this student-run event as an example of planning and organization for submitting a special events application with all requirements months ahead of the event. 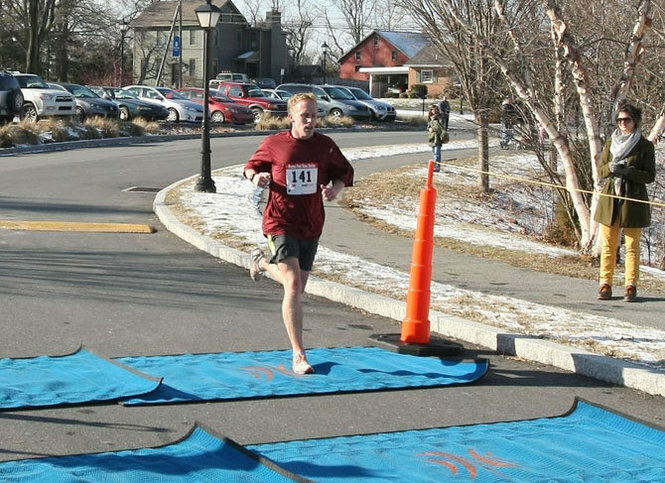 Cornerstone Ministries held an inaugural 5K last fall at Masonic Villages. Twilight Trot, a 10K in August on the Masonic Villages grounds sponsored by the Greater Elizabethtown Recreation and Community Services. An inaugural Mother's Day Run 5K this year, sponsored by the Elizabethtown Rotary Club. Conewago Rail Trail -- Technically, this isn't in the borough, but it's part of the community. I had ridden my bike on it, but until last fall had never run there. It's nice to have a flat, straight path with no vehicle traffic, except for crossing Route 743 and some other roads. And that's not to mention the beautiful south central Pennsylvania farmland and scenery. Elizabethtown College -- Like Masonic Village, the college provides a great space for running without traffic. I realized last fall that I could run across campus two or three times and get a 5-mile run in without ever being more than 1 mile away from home. And if I want to do speedwork on the track, it's a perfect warm up distance of six-tenths of a mile from home. What did I miss? What reasons do you have for running in Elizabethtown? More good stuff from The Onion! Thanks, Dan. Elizabethtown says, "Walk this way!"